This video shows me painting the scene at the IGNITE! 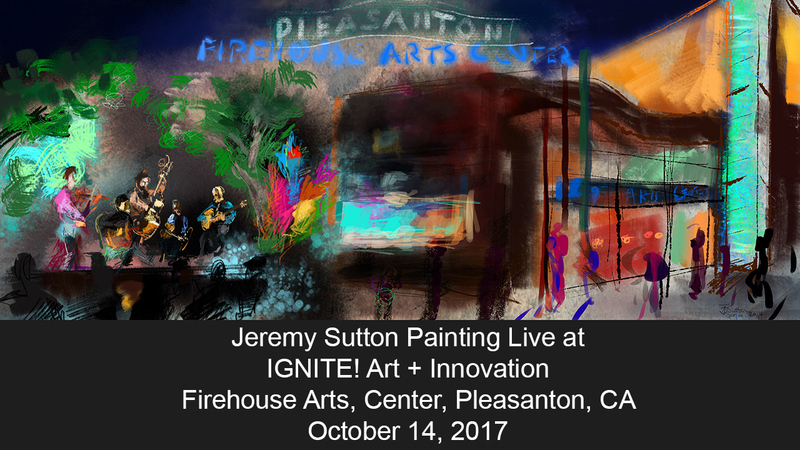 Art + Innovation arts festival in the Firehouse Arts Center, Pleasanton, California, on October 14th, 2017. The band playing, who are depicted in my painting, are the Hot Club of San Francisco. Thank you to the great team who produced this event and made it possible, including the Firehouse Arts Center, The City of Pleasanton and the Pleasanton Cultural Arts Council.